' Reflections, ideas and comments on wines and the world of wine. I am not going to travel far from the Intendant in the Bordeaux city centre. I thought I should go looking for the home of my January favourite, Château La Garde, in Pessac-Léognan. 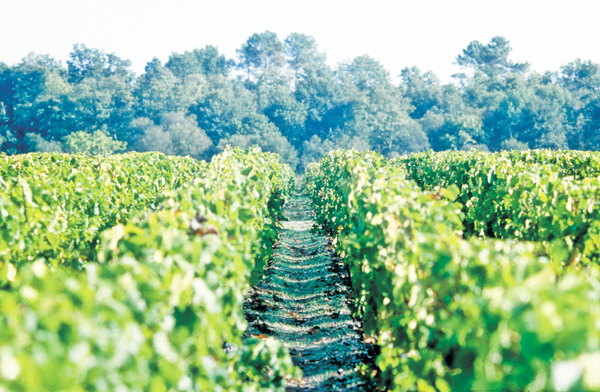 Pessac-Léognan is the commune appellation we should remember for three things: heritage, class and red. The heritage is of the very best rank. The classification comprises the best estates, but is often forgotten when talking classifications of Bordeaux. And red? Yes, Pessac-Léognan is in fact dominated by red wines, although I often think of the region south of Bordeaux as white wine country. It is just a quarter of an hour from the city centre and there, squeezed in among the southern suburbs, the first vineyards are found. An airborne arrival to Bordeaux, that is to the Mérignac airport, implies a landing right in Pessac-Léognan, the most northern part of Graves. The spot where grapes were grown already 2000 years ago. A spot proud of its rich heritage. Claret, the light red Bordeaux wine, which won the heart of the Englishmen already in the Middle Ages, came from this neighbourhood. The vineyards in Graves were already well established when the Dutch came to Médoc to fulfil their ditching assignment in the 1700s. During the 300 years when Aquitaine was under English rule, from 1152 to 1453, the claret literally flowed into London from Graves. Château Haut-Brion, the only estate in Graves classified for red wine in 1855, excelled early. 2013 marks an anniversary! It is 350 years since "Ho Bryan" was established as a luxury brand in London. The owner Arnaud de Pontac had persued a successful strategy and differentiated his wine from the competitors'. Darker, more power - simply one class better. And three times the price. The good Arnaud was a real businessman. Pessac-Léognan also holds the oldest estate in Bordeaux. Château Pape-Clémant counts 1299 as its birth year. That was the year when the coming Pope Clemant V got the estate as a gift from his older brothers. Today it is considered as one of the best estates of the appellation. Red, red, red. 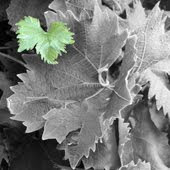 Delicious wines are made from both blue and green grapes raised on the light gravelly and sandy soils. I often think white when thinking Graves, but the fact is that about 80% of the production in Pessac-Léognan is red wine! 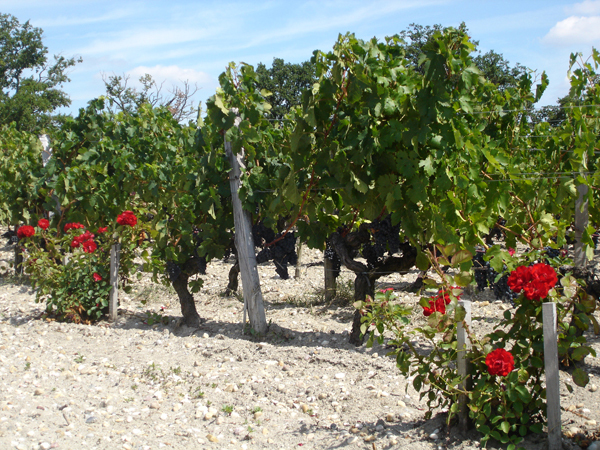 The traditional Bordeaux grapes are grown on the appr. 1700 hectares. Cabernet sauvignon is the signature grape for the red wines, with Merlot as runner up. Sauvignon blanc and Sémillon dominate the white. 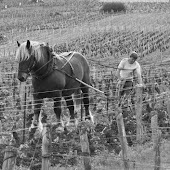 Pessac-Léognan is an appellation of recent date, born on September 9, 1987. And we should note the for Bordeaux unusual scope; this commune appellation includes both red and white wines. You could think that the appellation comprises only the two communes that have given the area its name. But that is not the case. Ten communes, or rather villages, are included; Mérignac, Pessac, Talence, Gradignan, Villenave d’Ornon, Canéjan, Léognan, Cadaujac, Martillac, Saint-Médard-d’Eyrans. Remember them if you can! But no, that is not necessary, Pessac-Léognan will do fine. Then it is time for the classification. Graves has one of its own, a fact easily forgotten in our eagerness to learn the most distinguished estates in the classification of 1855. All the 16 estates awarded "cru classé" in Graves are located in Pessac-Léognan. The classification, without any internal ranking, was established as late as 1953, with an extension 1959 to the one of today. Six estates are classified for red and white wine, seven for red only and three for white. Château Haut-Brion is of course among the classified estates in Pessac-Léognan too and is thus, as the only estate in Bordeaux,"double classified". I can also conclude that Pessac-Léognan is André Lurton-land. The renowned winemaker's properties are not located far from each other. There are the names so well known from the labels of the white wines we often find in Sweden: Château de Cruzeau, Château la Louvière, Château Couhins Lurton, Château de Rochemorin och Château Coucheroy. The latter two reliable, affordable, pure Sauvignon blanc wines, often poured on our tastings as typical examples of a Bordeaux white. But again - red wines are made on all the estates. So, why not choose a red Pessac-Léognan the next time? White wines: Château Couhins, Château Couhins-Lurton, Château Laville Haut-Brion. Red wines: Château Haut-Brion, Château de Fieuzal, Château Haut-Bailly, Château La Mission Haut-Brion, Château La Tour Haut-Brion, Château Pape-Clément, Château Smith Haut Lafitte. Both red and white: Château Bouscaut, Château Carbonnieux, Domaine de Chevalier, Château Latour-Martillac , Château Malartic-Lagravière, Château Olivier. A dedicated wine lover who writes to share thoughts and opinions about the world of wines and other tasty matters.